Yi Chol is concurrently the Vice Chairman of the DPRK’s Committee of Investment and Joint Venture and Vice Chairman of the DPRK Central Broadcasting Committee. He is also an alternate (candidate) member of the Party Central Committee [CC KWP] and a deputy director of the CC KWP Organization Guidance Department. For a number of years Yi served as the DPRK’s concurrent ambassador to Switzerland and permanent representative to UN Geneva. In this position Yi was Kim Cho’ng-il’s personal representative and political surrogate in Europe, as well as manager of KCI’s personal and financial affairs. Yi was born in 1940. He attended Mangyo’ngdae Revolutionary School and Namsan Senior Middle School, where he was one of Kim Cho’ng-il’s cohorts. He also studied at Kim Il-so’ng University and according to some sources completed coursework at Moscow State University in the 1960s. Yi Chol’s began his career at the Ministry of Foreign Affairs [MOFA]. In 1972 he was a MOFA bureau chief. In 1974 he was appointed Director-General of the Bureau of Protocol and International Organizations. After the Sixth Party Congress in October 1980, Yi Chol became a deputy director of Kim Cho’ng-il’s Personal Secretariat and deputy director of the CC KWP Organization Guidance Department. Also in 1980, Yi was assigned to the DPRK Embassy in Geneva, Switzerland, in the position of diplomatic councilor. In Europe, Yi attended to a number of personal tasks for and on behalf of members of the central leadership, including the administration of the personal finances of Kim Cho’ng-il (and the late Kim Il-so’ng). Yi also was in loco parentis to Kim Cho’ng-il’s eldest son, Kim Cho’ng-nam, who studied in Switzerland in the 1980s. In September 1987, Yi was appointed permanent representative to the UN Mission Geneva and in January 1988 was appointed DPRK Ambassador to Switzerland. In 1990 he was appointed a Deputy Public Prosecutor. Yi Chol relocated from Geneva to Berne. In the 1990’s he was responsible for the custody of Kim Cho’ng-il’s three children with 3rd wife Ko Yo’ng-hu’i, who studied at Swiss schools in the Berne area. 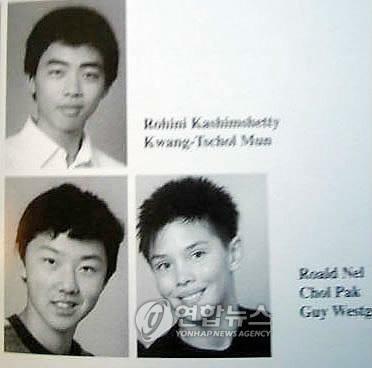 Kim Cho’ng-ch’o’l and Kim Cho’ng-u’n attended Swiss schools,where they were introduced as the offspring of diplomatic or embassy household staff. The sons were each shadowed by another DPRK national who acted as personal security escorts, and minders. Cho’ng-ch’o’l attended school and was pictured in a school yearbook, with one of Yi’s sons. According to some accounts, Cho’ng-u’n spent most of his time and took meals with Yi. Daughter Kim Yo’-cho’ng’s relationship to Yi is not clear, with accounts that claim her school registration and personal needs were attended to by women workers attached to the embassy. 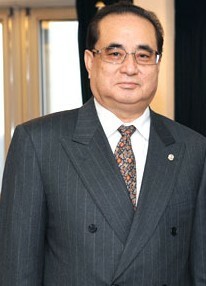 Yi Chol was recalled and returned to Pyongyang in March 2010, replaced by So’ Se-p’yo’ng previously DPRK Ambassador to Iran. 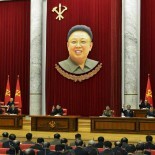 Upon his return to the DPRK, he was allegedly working in the Personal Secretariat. In late 2010 he emerged as one of the country’s key players in attracting foreign investment, particularly to Naso’n (Najin-So’nbong) in the northeastern part of the country.